Gov. 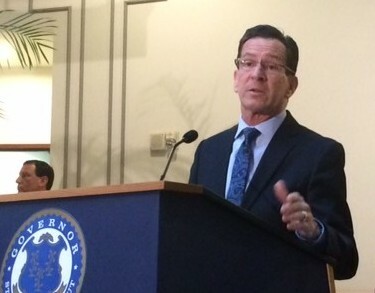 Dannel P. Malloy is proposing legislation to block businesses from forbidding employees to disclose their wages – a move the governor said is crucial to promote pay equity. Malloy’s proposal, which is expected to be introduced by legislative leaders on his behalf, does not require employers or employees to disclose wages. But it stipulates workers are free to discuss them and also prohibits businesses from punishing staffers who inquire about another’s wages. Malloy cited a 2010 report by the Institute for Women’s Policy Research that showed about half of all workers nationally reported that discussion of their wage or salary information was either prohibited or discouraged. The governor created the state Gender Wage Gap Task Force in 2013, and that panel identified “pay secrecy” as a factor in slower compensation growth among women workers. The Connecticut Business and Industry Association said it would review the administration’s proposal closely once the bill is introduced. Sen. Cathy Osten, D-Sprague, co-chairwoman of the legislature’s Labor and Public Employees Committee, said she supports the concept behind the governor’s bill. Osten said she believes some companies have required employees to sign agreements that forbid disclosure or discussion of worker compensation.